Dentaltown was created to make sure no dentist would ever practice alone. 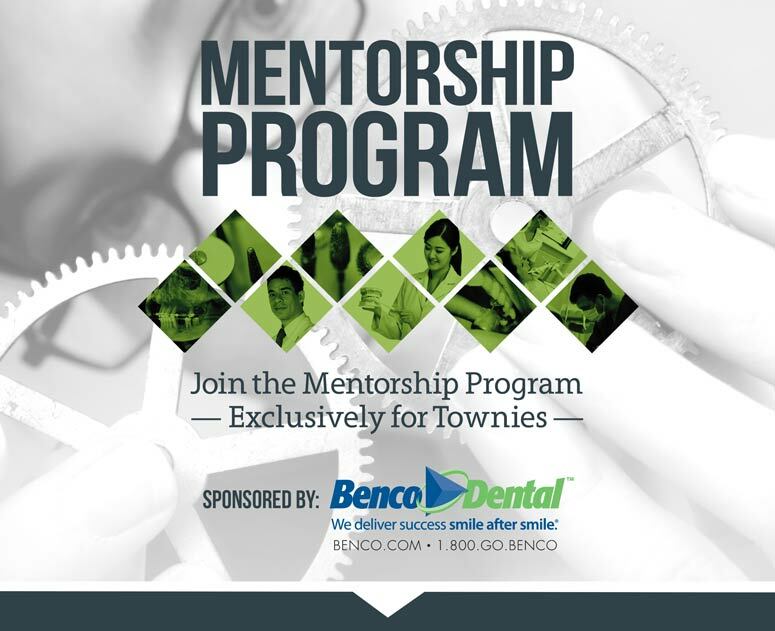 This new mentorship program is exclusively for Townies and is designed to strengthen the relationships within the community while also providing individualized attention to new dentists. The program offers mentees an opportunity to develop business contacts, increase their professional knowledge and benefit from valuable resources. For mentors, the program is a chance to share professional expertise, develop coaching, communication and leadership skills, and strengthen the dental community. Click the desired “Apply" button below and get started today. For any questions please contact Sally Gross, Member Services Specialist, at sally@farranmedia.com or +1-480-445-9710.